Is This Bentley Continental GT Mustang Replica Worth $50,000? That depends on who you ask. It’s been on the market for almost a year now, yet this 2005 Ford Mustang GT that was inexplicably transformed into a Bentley Continental GT has yet to find a buyer. When we first clapped eyes on this Frankenstein creation, it was listed on eBay for a Buy It Now price of $65,000. Currently, the Bentley replica is for sale on Craigslist for a shade under $50k, despite the seller’s claims that it cost almost $100,000 to build. A lot of work has gone into the car. Let’s start with what’s happening under the hood. Where the 2005 Conti GT comes powered by a 552-hp V12, this nifty interpretation gets a 4.6-liter V8 from the ’05 GT with a similar power output of 550 hp, which gets sent to the rear via a manual transmission. Other similarities include headlights, taillights, brake lights, back up lights, AC vents, a Breitling clock, and shifter handle. 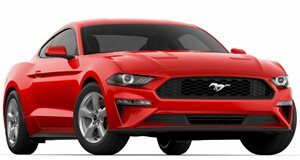 The S195 Stang GT chassis has been upgraded with a Tokico suspension and 373 rear end, a set of 20-inch alloys housing Brembo brakes and 4-inch stainless-steel quad exhaust tips. This all gets wrapped in an original widebody kit the seller claims is similar to the $40k Veilside kit and “looks better than almost any Bentley I've seen that's less than $300,000.” Fair point. Inside, there’s Italian leather upholstery, 8- and 10-inch touchscreens, and Rockford Fosgate speakers and amp. There’s 8,400 miles on the clock of what is a very well put together replica. 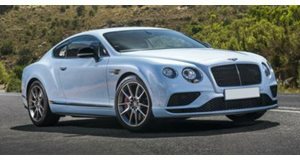 However, we’ve found three genuine Bentleys for under $50,000 in the shape of a 2005 Continental GT in dark green, a stately 2004 Arnage T, and a 1993 Continental R finished in Racing Green. So, would you opt for the replica, which will doubtless be cheaper to maintain, or the real deal? Let us know in the comments.